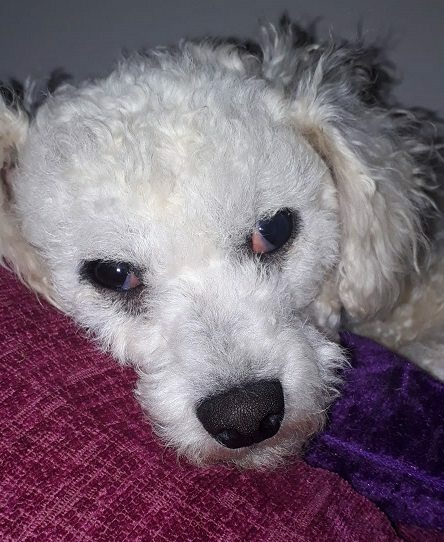 Edna is a 5 year old female Bichon Frise. Poor Edna arrived in the most terrible condition, she is an ex breeding girl who has clearly had life at its worst. She came with a warning not to touch her, we soon learnt this to be nothing but the environment she came from and the treatment she received. She is just a very scared little girl who has not known kindness or compassion. Her life has changed now and so has she, her foster mum has patience aplenty, she lets the most terrified dogs know that they are safe and its okay to be a little scared but their life is going to get better. 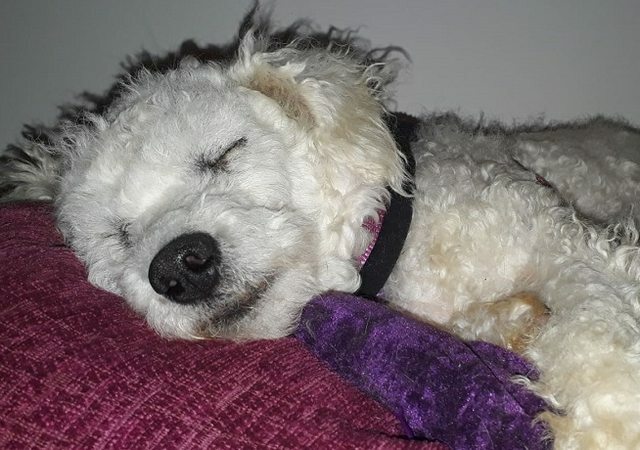 Eddie has learnt to relax in her foster home and to enjoy the comforts afforded to her now she is a loved pet. 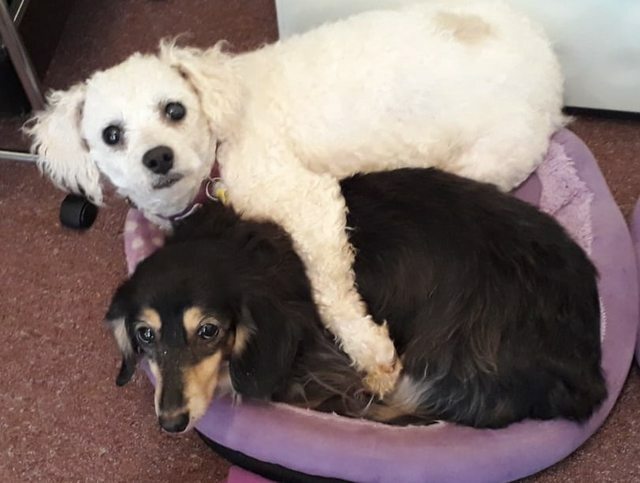 Edna is good with the other dogs and will need to be re homed with at least one other similar sized confident resident dog, she takes no notice of the cat so can be re homed with feline friends also. 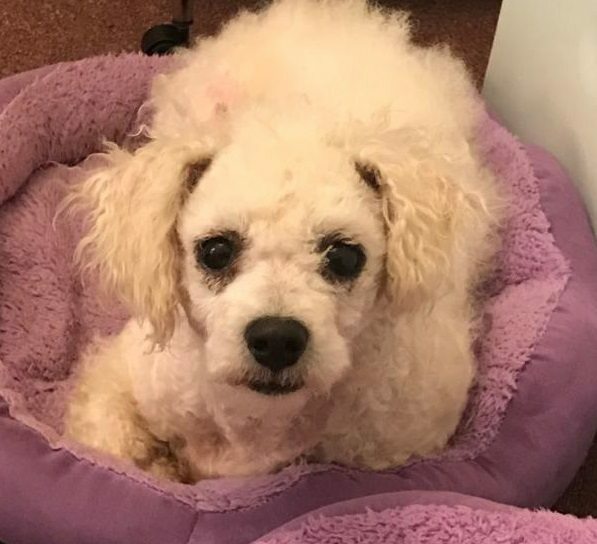 Edna will need a quieter home with no children, patient and kind owners who have the time to help Edna adjust and to continue to build her confidence. She eats well and loves to be out in the garden. She travels well in the car but will need continued work on her walking on lead. She is an adorable little girl who really needs her own special place with people who will teach her to trust again, her foster mum has started the process with her but she will do better in her forever home. Edna has been neutered, vaccinated and micro chipped. She is up to date with flea and worming treatment and is currently on foster in Guildford Surrey. 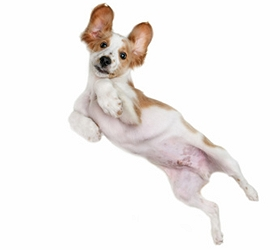 For further details regarding adopting a dog from Pro Dogs Direct please email info@prodogsdirect.org.uk or visit their website www.prodogsdirect.org.uk and complete an online application form. (please note, application form not iPad or phone compatible). Home check and set donation apply.